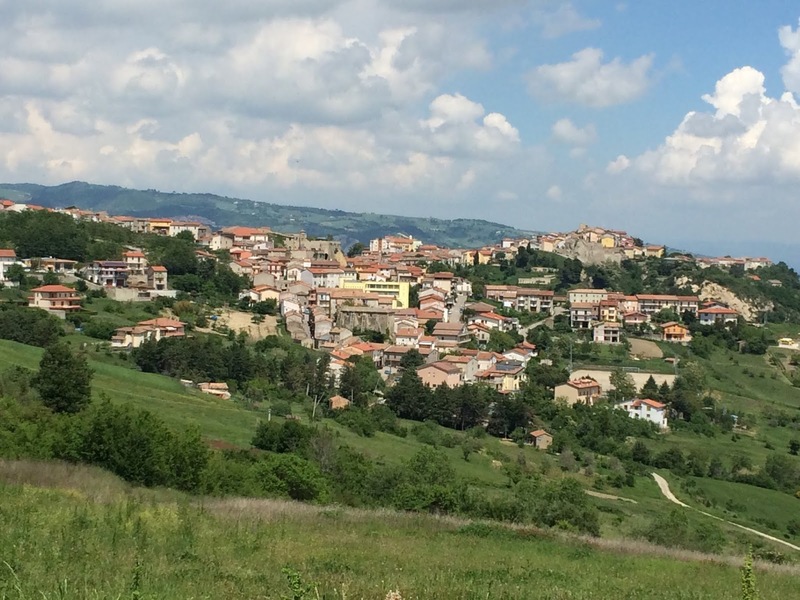 The type of town where every family intermarried. You know that feeling when you're researching an ancestor and you find out they're related to you in multiple ways? You can't quite wrap your mind around the complications and your head explodes. If your ancestors came from a small town—especially a rural town—that entanglement is commonplace. 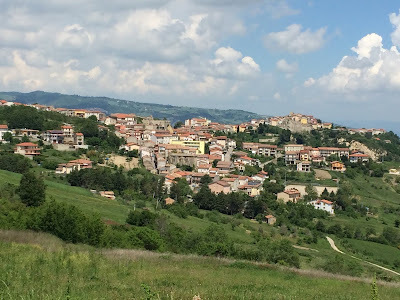 I recently visited the rural town in Italy my father's side of the family comes from. His father was born there. His mother's father was born there. If your last name is Iamarino, your ancestor was almost certainly born there. I visited my cousin Maria who told me lots of family stories. As a youngster, she enjoyed asking her mom (my grandfather's sister) tons of questions. And God bless her memory, she was able to tell me a bunch of them. One story briefly mentioned a name and relationship I didn't know. Giovanni Paolucci was my great grandfather Francesco Iamarino's brother-in-law. Giovanni and Francesco had both been in the Bronx, New York. I never knew Francesco had been in the Bronx. Most of my family history in America centers in the Bronx. But Francesco was an itinerant worker in mines and railroads. I had never placed him in the Bronx. This morning I decided to look for Francesco and Giovanni in New York City. Since I have all the ship manifests I can find for Francesco, I focused on Giovanni. First I looked at Francesco's sister to see if she had married Giovanni. Nope. Next I looked at Francesco's wife who had several sisters. Bingo. Francesco's sister-in-law Maria Maddalena Pilla married Giovanni Paolucci. But my family tree file had only one 1913 ship manifest for Giovanni. I needed more information. That ship manifest says Giovanni was born in 1890. I checked the 1890 birth records for the town. Nope. Not born in 1890. I searched the birth records for several years before 1890. Bingo. 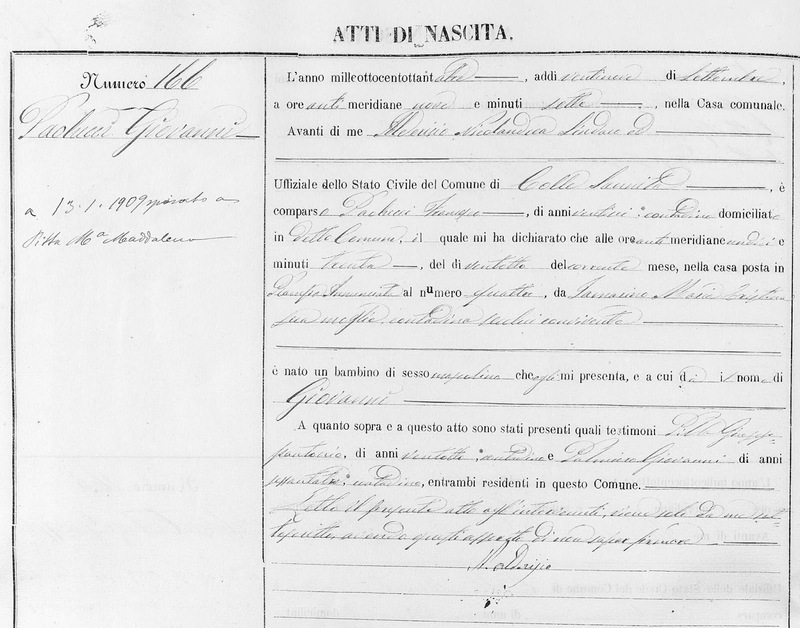 Giovanni was born in 1883, and his birth record says he married Maria Maddalena Pilla in 1909. So he's my man. Now, who was Giovanni Paolucci's mother? Uh oh. The small town syndrome strikes again! Giovanni Paolucci, brother-in-law of Francesco Iamarino, was the son of Maria Cristina Iamarino—my 1st cousin 4 times removed. That makes Giovanni my 2nd cousin 3 times removed AND the husband of my 2nd great aunt. 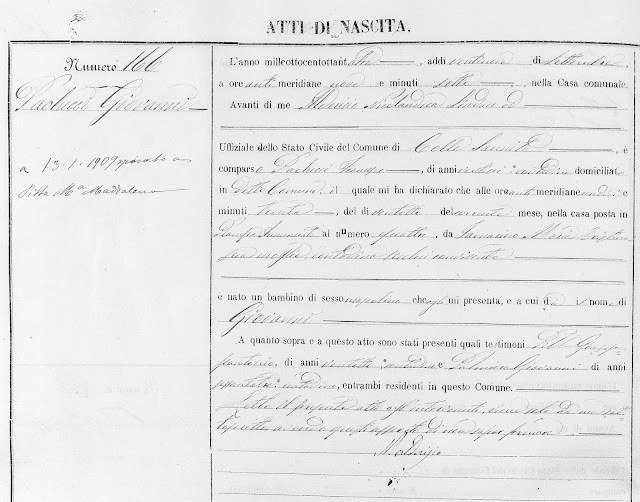 Giovanni Paolucci's 1883 birth record shows his mother was an Iamarino. At the moment, I still can't place Giovanni or Francesco in the Bronx. But isn't it amazing how a character in a story about my great grandfather just blew open a branch of my family tree? That's definitely the stuff that keeps us going. Back to work!